We have developed a patented method for the dry dispersion of nanoparticles. Our exclusive technology maximizes the effectiveness of the nanoparticles. ADParticles technology is based on a revolutionary method for the dry dispersion of nanoparticles which results in the production of composites with hierarchical structures. 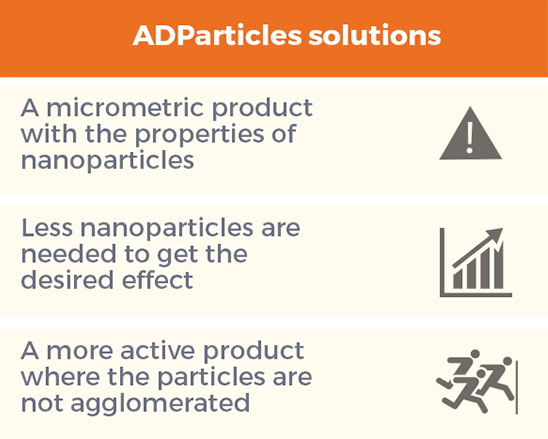 ADParticles technology maximizes the effectiveness of the nanoparticles by means of its disaggregation, promoting and enhancing surface interactions and effects. A range of innovative cosmetic ingredients based on physical UV filters for Sun care and Color skin care. A range of innovative cosmetic ingredients based on physical UV filters developed with an ADParticles patented technology based on a revolutionary method for the dry dispersion of nanoparticles, with properties suitable for use as UV filter in Color skin care and Sun care. Nanofree: According to the current definition of the term nanoparticle, the particle size of our products is not in the nanometric scale. Broad Spectrum protection: The technology used for the production of our filters allows obtaining materials with good protection against UV radiation. Good Photostability: To reduce the photocatalytic activity while maintaining protection against UV radiation, silica coating is used. Aluminium Free: Our products possess silica to prevent free radicals formation, this coating provides good photostability without being harmful to health. Compatibility with the usual cosmetic ingredients, giving an added value. Skin Color: ADP Cosmetics has developed a range of products that provide sun protection and color to your formulas, in just one ingredient. we are willing to partner with companies to design customized solutions to your needs. New ferrite based compositions for permanent magnets. Sustainable low cost solutions for permanent magnets. Sustainable low cost solutions for permanent magnets. Permanent magnets are crucial in modern technology as they allow storing, delivering and converting energy. They are able to transform electrical energy into mechanical and vice versa, which means that improving their performance entails transforming energy in a more efficient and sustainable way. The best magnets are based on rare-earths, however, their criticality has brought forward the realization that it is of great strategic, geographic and socio-economic importance to consider alternative magnets that present a reduced amount (or absence) of rare-earths. One of the most sought approaches towards this goal consists on constructing composites based on two dissimilar magnetic materials that are coupled at the interface. Particular geometrical arrangements may lead to improvements in the magnetic response; however, sculpting the adequate structure at competitive costs remains a challenge. 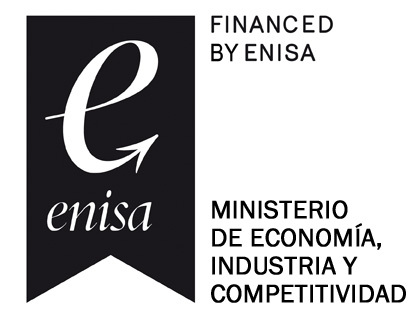 In the framework of an European Project (FP7-SMALL-NANOPYME-310516), a low-cost novel approach that improves the performance of magnetic materials was developed. It was focused on producing improved magnetic materials that retain the advantages of ferrites –availability, sustainability, cost, recyclability- and which have the potential to substitute rare-earth magnets. Easy and safe use of nanoparticles for functionalization of polymers.Improved UV-resistance of polymer based materials. Easy and safe use of nanoparticles for functionalization of polymers. Improved UV-resistance of polymer based materials. The combination in the range of nanoscale inorganic nanoparticles in polymer matrices has a potential application that attracts the attention of researchers and enables companies to produce materials with new properties. The nanocomposites based on polymeric materials with nanoparticles have synergies that allow obtaining products with differentiated properties in terms of mechanical, electrical, magnetic, thermochemical or biological response among others. The nanocomposites production processes require marterbach use that are produced in critical conditions and limited the versatility of polymer compositions. Thus the polymer industry continues to seek solutions based in simple processes to fill both thermoplastic and thermosetting processing specifications. 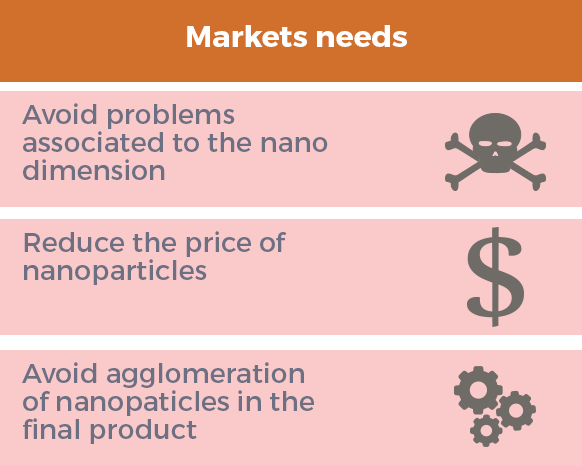 Moreover, the incorporation of inorganic nanoparticles into nanocomposites present a challenge related the nanoparticles handling and potential toxicity. 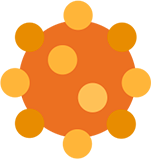 ADParticles patented solution facilitates the incorporation of nanoparticles as usual fillers breaking new ground for the combined use of functionality on a single filler. ADParticles products allow safe and effective use of the nano-solutions. The first product developed is a solution for improving the resistance to UV radiation that can be combined with a bactericidal solution and wear resistance solutions. ADParticles is a partner of AMPHIBIAN, AnisoMetric Permanent Hybrid magnets Based on Inexpensive And Non-critical materials, a Research and Innovation project funded by the European Commission. 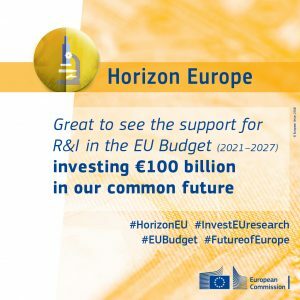 We invite you to share it and to tweet your own message of support for R&I (from now until final adoption of the proposal) with the attached visual and the three hashtags #InvestEUresearch #HorizonEU #EUBudget. Many thanks!! ADParticles is a technology-based company established in 2011. ADParticles is a spin-off of the Spanish National Research Council (CSIC), born as a result of more than 10 years of research. ADParticles’ philosophy is to develop innovative products, according to clients and market demand. To contact us for further information, any type of agreement or simply get familiar with our company. Leave your data on the form and we will contact you shortly.